South African retailers are increasingly making mobile transacting a key component of their marketing and sales strategies. Large national retail brands run popular mobile-first coupon and voucher campaigns integrated with wiGroup’s point-of-sale integrated platform, while third party providers add new dimensions to the in-store customer experience with a host of mobile payment and transacting solutions. But it is all for nought if customers aren’t aware of these services, or can’t understand how to redeem coupons or vouchers at the point of sale. While above-the-line advertising plays a key role in driving awareness of transacting solutions, customers often fall by the wayside when they arrive in-store or get to the till point. We chatted to some of our key clients to learn from their experience of the best ways to drive awareness and understanding of transacting solutions in the retail environment. Here are their top mobile transacting advertisement tips for you. Go large Don’t be afraid to make your in-store education material larger than life. Retail environments are generally a technicolour stew of promotional posters and discount prices, which makes it hard to communicate important information in store. Make your education posters as large as possible and place it in the most visible spot possible. Adapt the message There’s no point in printing long-winded instructions that take minutes to read through. The customer journey from the time of seeing the offer to redeeming at the till point needs to have as few steps as possible. Use a visual and written language style that suits your audience. Hungry Lion has enjoyed immense success with its in-store promotional material featuring cartoon-like step-by-step information of how the redemption process for their mobile discounts and voucher campaigns works, with industry leading redemption rates as a result. Train your staff Even the best in-store education campaigns fall apart if the cashier is not trained to enable customers to redeem offers and discounts at the till point. Invest in training staff properly and turn them into mobile transacting ambassadors that can guide customers in unlocking the benefits of in-store mobile transacting. Many of our clients today have mandatory mobile transacting training for all cashiers to ensure a solid understanding of how the redemption process at the till point works. Exclusivity rocks It’s no use running a mobile transacting campaign with certain discounts and benefits and then making the same cost-saving benefits available to customers who don’t use the mobile transacting functionality. Make the special offer, freebie or discount as attractive as possible and make it clear that it’s only available to customers who utilise mobile transacting. 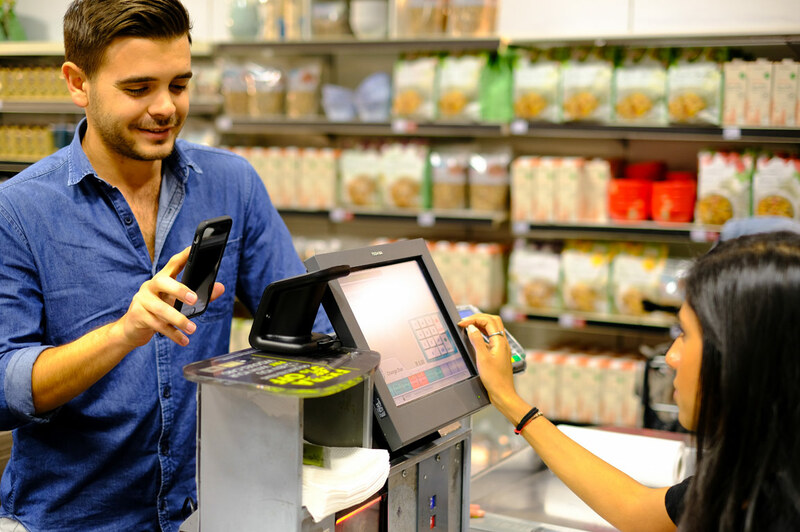 Then stand back as your impactful in-store educational material drives customers to the till point, where your well-trained staff comfortably help customers enjoy the benefits of your mobile transacting campaign!